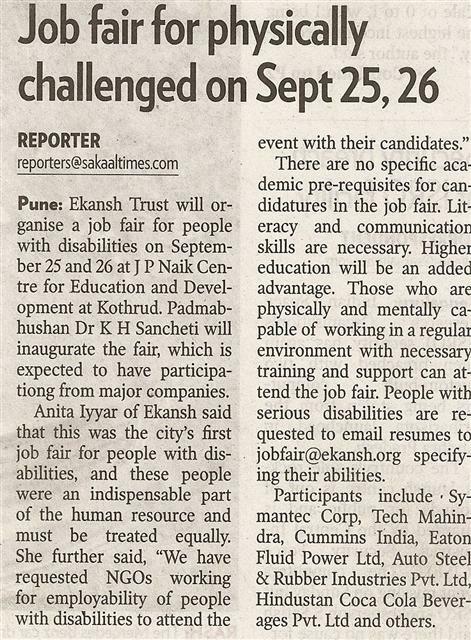 After the analysis of the results of the earlier job fair, the organisation realised that lack of basic communication skills is one of the major limitations for people with disabilities. 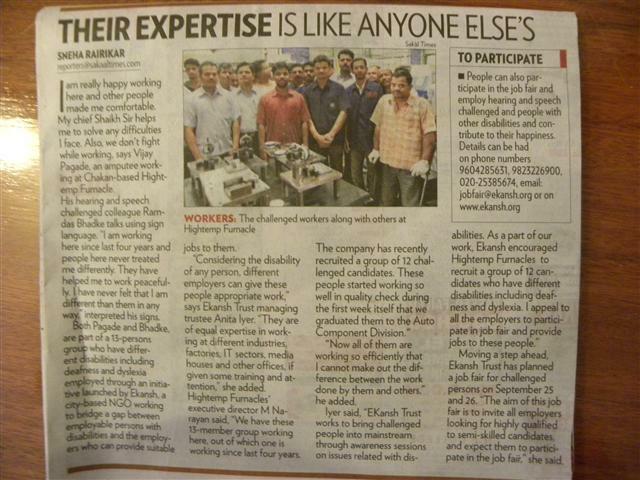 EKansh, therefore, started training programmes for PwD while helping companies prepare to accommodate their potential recruits. 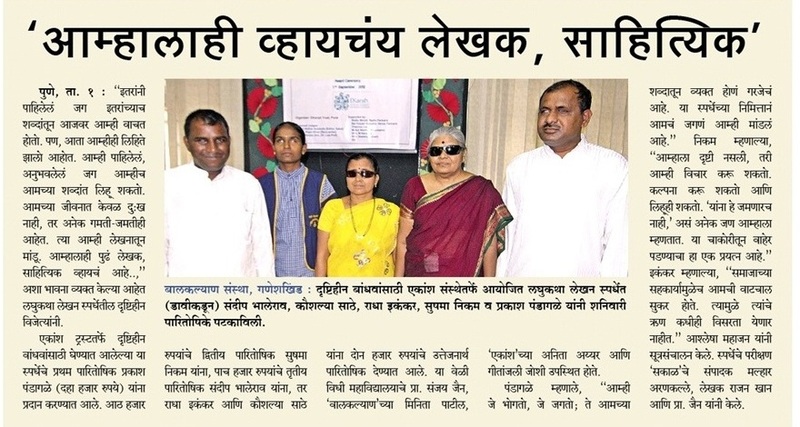 http://www.punewestsideplus.com/fullStory.asp?articleID=PWSP5ART413200721937 Avanti....2007 TOI Eastside Plus, The beginning. 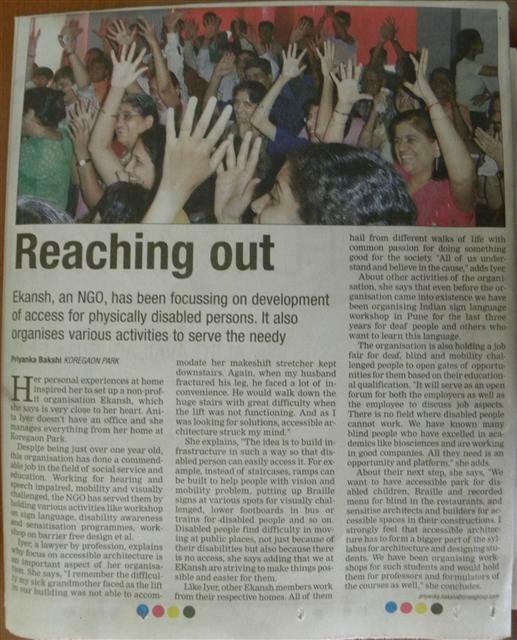 http://www.survivorsguideindia.com/359/ekansh-making-a-difference/ Yes blogs too !! http://people-n-places.blogspot.com/2007/04/actions-speak-louder-than-words-few.html Feedback blog on our very first ISL workshop in 2007. ISL workshop with ISL experts.